Geek Grotto - Get Your Geek On! : Arnold is back for another Conan! Arnold is back for another Conan! You heard it right. Arnold Schwarzenegger is returning to Hyboria! 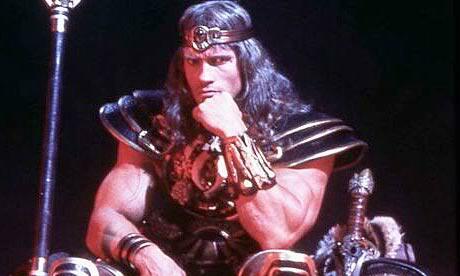 Deadline is reporting that Arnold is reprising his role as the Cimmerian warrior in The Legend of Conan. Details are minimal right now but what we've heard is that Legend will ignore the events of Conan the Destroyer and of the Jason Momoa Conan reboot. Malmberg and Chris Morgan are attached to produce The Legend of Conan. Morgan has already plotted the story himself and may also provide the screenplay, aiming for a summer 2014 release.